PORT REXTON, NL – Less than a year after it was initially proposed, the first brewery on Newfoundland’s Bonavista Peninsula has opened in the town of Port Rexton. 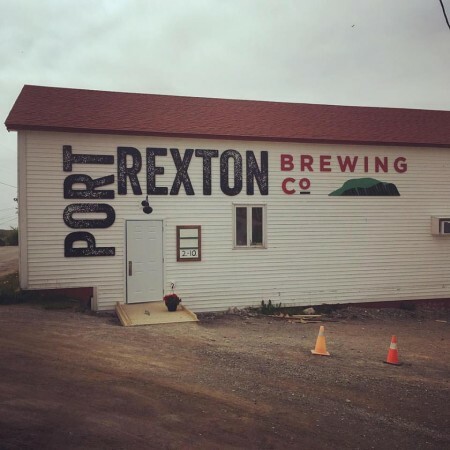 Port Rexton Brewing was launched on the weekend of July 23rd by Alicia MacDonald and Sonja Mills, a couple who had previously planned on opening a brewery in Truro, Nova Scotia. Those plans were shelved when they were unable to secure financing, but the idea was revived last year after the pair relocated to Newfoundland. The brewery is currently offering three core brands – Island Blonde Ale, Horse Chops IPA, and Night ‘Bous Porter – with availability varying based on supply and brew schedules. Samples, glasses and growlers are available in the brewery taproom and retail store from 2:00 PM to 10:00 PM daily, with the taproom also pouring guest beers from other Newfoundland breweries. For more details, see the Port Rexton Brewing website and Facebook page.